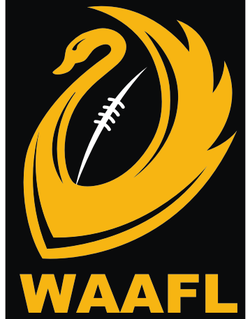 As part of the WAAFL Strategic Plan 2017-2020 the board established a Spirit of the Game indicator to measure the competition’s integrity. The Spirit of the Game indicator aims to look at the conduct of the game in terms of fairness, decency and honesty which coaches, players, umpires and spectators bring to the game. 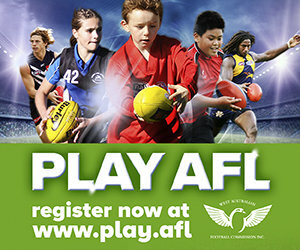 A sample of 2751 players, club officials, coaches and umpires were invited to provide feedback at Rounds 1 to 6, 7 to 12 and 13 to 18 on the match day behaviour of players, coaches and spectators. From the feedback 56% was provided by Club Presidents, 29% were Coaches, 22% were Umpires and 8% were Players. 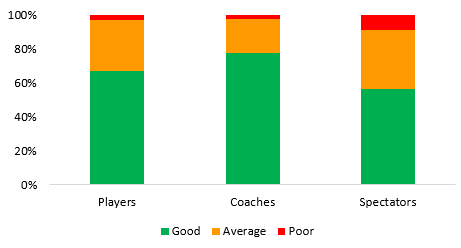 78% of participants rated overall coach behaviour on match day as good with 67% rating player behaviour as good. Spectator behaviour came in at the lowest with 56% rating spectator behaviour as good while 35% said spectator behaviour was average. When broken down into participant categories, 78% of club officials rated player and coach behaviour as good while 58% rated spectator behaviour as good with 32% rating spectator behaviour as average. According to players 76% said coach behaviour was good, 60% said player behaviour was good while 56% of players surveyed rated spectator behaviour as good. 86% of coaches surveyed said coach behaviour was good with 78% saying player behaviour was good. 64% of coaches said spectator behaviour was good with 32% saying spectator behaviour was average. 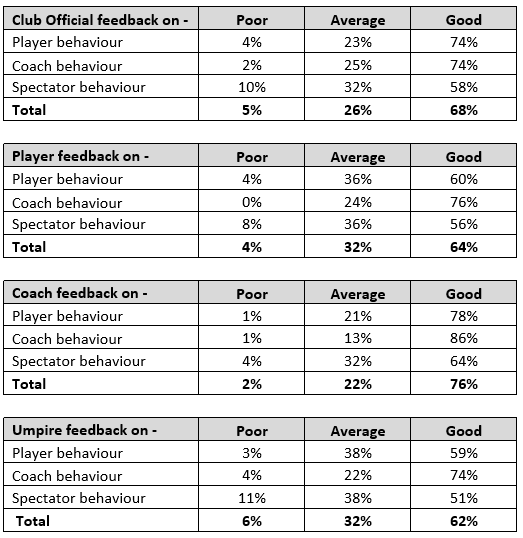 74% of Umpires said that Coach behaviour was good and 59% said player behaviour was good. 51% of Umpires said spectator behaviour was good with 38% saying it was average and 11% said it was poor.